If you prefer a tile option as opposed to a custom inlay, there are plenty of gorgeous designs available like Kreoo Motion, and the Graffiti line. Artistic lighting is looking bright (no apologies for the pun!) and set to team up with natural stone in 2016. Going beyond simple canned or pendant lighting, the creative minds of our day are beginning to explore all the possibilities of lighting as an art form and natural stone is getting some great creative energy . Skillful backlighting can turn a bath into an oasis or turn a back splash into a subtle mood lighting tool. 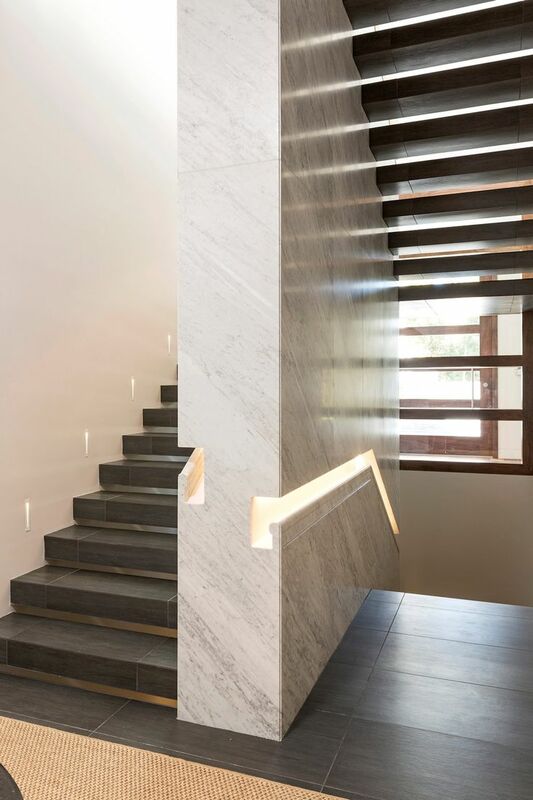 Or go even further outside the box with a custom lit stone staircase like this groundbreaking design from Quinn Architects. Layering with color is so 2015. In 2016, sophisticated design will be all about adding texture. 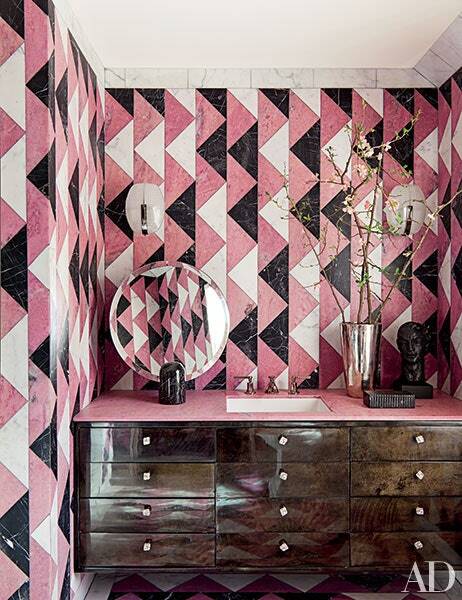 People will be using marble in fresh ways. 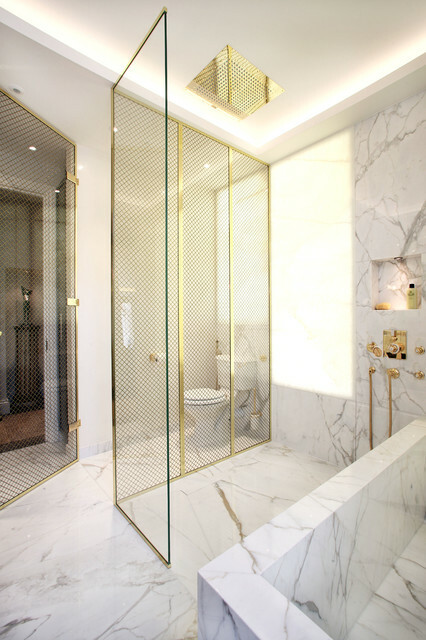 Small cuts of marble with offsetting veining provide a soft, stirring sensation in contrast to the more dramatic veining patters that have dominated typical marble design in the past. Modular tiles that can be configured in different ways, like Kreoo Hana, are a designer’s perfect resource.